Our batteries are straight from America and come with the standard type American fittings of a round post and stud fittings. We are able to supply both 6 volt storage units for the house side or 12 volt, in addition batteries are availabe for the chassis/engine side again in either high capacity 6 volt or 12 volt. All batteries are fresh in from the USA and supplied ready to go. Call us soon, the quality and the price will really make you happy for years to come. 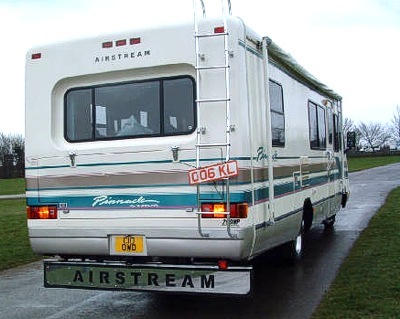 In terms of the windscreens and other body glass/glazing, we can provide glass for any manufacturers RV going back to the 1970's. 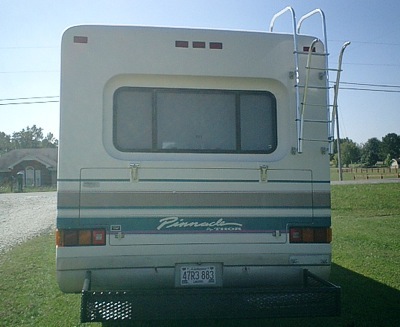 Quick delivery and great prices, we also supply insurance companies direct with American Motorhome RV glass. Supply and fitment of Europe wide Trackers and immobilizers' to insurance standards. Supply and fitment of Satellite dishes and in motion satellite systems. 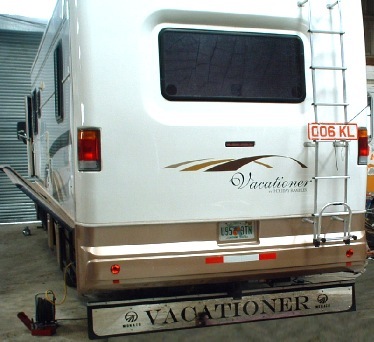 another unit that we fitted one of our stainless steel mudflap trims to. 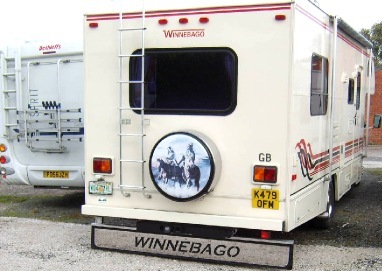 one of the mudflap trim kits we have supplied, and a big thank you to 'Winnebago Tony' for the picture.